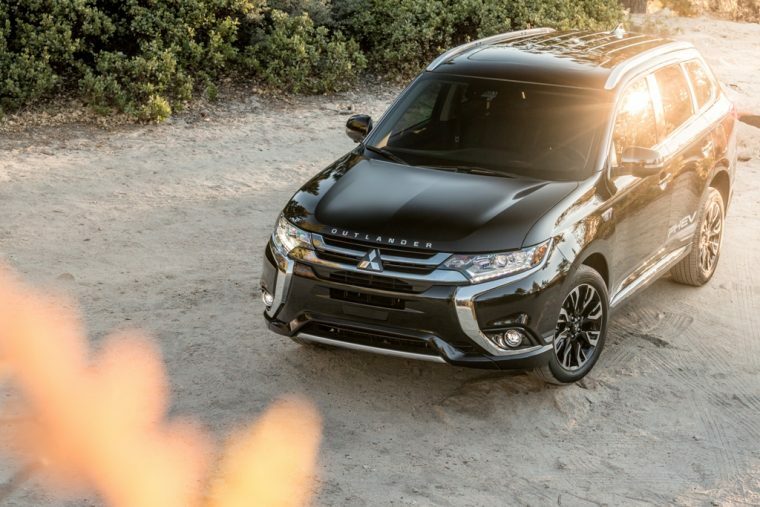 Mitsubishi kicked off 2018 with a sizable jump in sales, giving the brand its best start to a year since 2007. Mitsubishi sold 8,480 vehicles in January, an increase of 31.3% from January 2017 that is consistent with its status as last year’s fastest-growing non-luxury brand in the auto industry. Not surprisingly, crossovers were at the fore for Mitsubishi, offsetting year-over-year declines from Mirage and the now-discontinued Lancer. 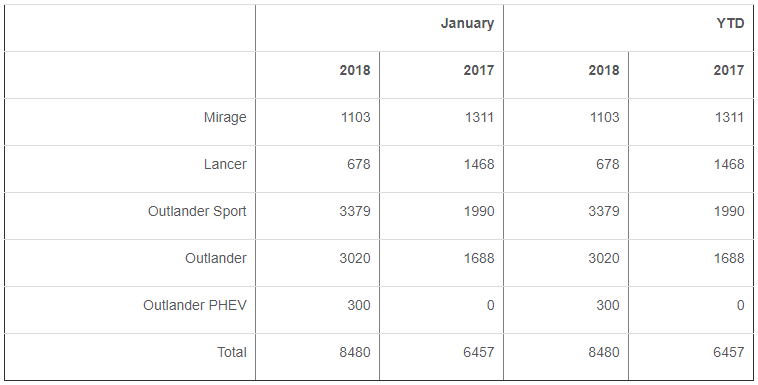 Outlander was up 78.9% at 3,020 vehicles delivered, Outlander Sport was up 69.8% at 3,379 vehicles delivered, and the Outlander PHEV notched an impressive 300 deliveries in its second month on the market. Mitsubishi’s crossover lineup will be strengthened even further this coming March with the launch of the all-new Eclipse Cross. Mirage sales were down from 1,311 vehicles last January to 1,103 vehicles last month. Lancer sales totaled 678 vehicles, down from 1,468 in January 2017. Mitsubishi is coming off sales totaling 103,686 vehicles in 2017, up 7.7% from the prior year.